Dr. Melissa Shapiro is a graduate of Purdue University School of Veterinary Medicine. She did a rotating internship at the Animal Medical Center in New York City, and a residency in Small Animal Internal Medicine at the Veterinary Hospital of the University of Pennsylvania. She worked in a number of small animal practices in Massachusetts and Connecticut before opening the Visiting Vet Service in 1991. Realizing that house calls are particularly beneficial to her geriatric patients, in 2013 Dr. Shapiro created Your Senior Pet's Vet, an in-home service dedicated to providing the highest level of custom veterinary care to senior and special-needs dogs and cats in the comfort of their own homes. Dr. Shapiro has been a dedicated advocate for animal welfare for decades. 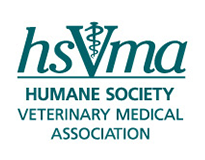 In addition to her position as the HSVMA Connecticut State Representative, she is a member of both HSVMA and The Humane Society of the United States. She regularly works with a number of local dog and cat rescues as well as with wildlife rehabilitators. 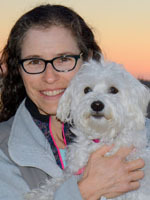 In addition to memberships in the AVMA, Connecticut Veterinary Medical Association, and Fairfield County Veterinary Medical Association, Dr. Shapiro is an active member of the International Association of Animal Hospice and Palliative Care. Dr. Shapiro lives in Connecticut with her husband Warren, three children, six rescued dogs, and four rescued house sparrows.